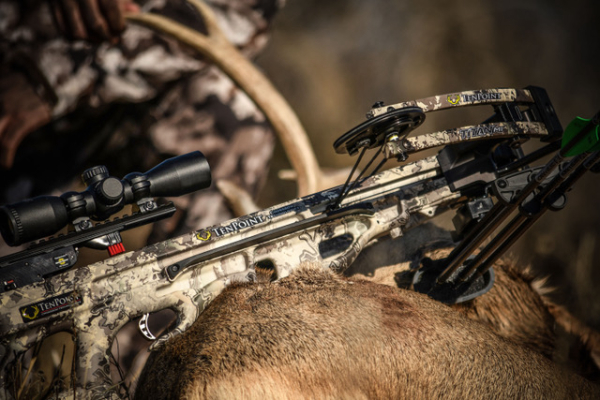 INMAN, S.C. –TrueTimber Viper Western is now featured on three crossbows from TenPoint Crossbows Technologies, including the Stealth NXT™, Nitro X and new-for-2019 Titan M1. Debuted at the Archery Trade Association (ATA) Trade Show in January, the Titan M1 gives customers a value-packed crossbow package decorated in TrueTimber for a variety of hunting seasons. Photo and video assets are available for all TenPoint and TrueTimber collaborative crossbow packages. Videos are available on TrueTimber’s YouTube channel (here and here), and additional photography can be provided by contactingmarketing@truetimber.com.